View More In Replacement Parts - Page 5. Replaces 10x30x1 sized disposable filters. The actual size of this filter is 9-3/4 x 29-3/4 x 7/8. Just hose off and water, allow to dry for 15 minutes and reinstall. These quality filters are built to last a lifetime. They are interchangeable with 1" disposable filters and can be used again and again. Simply backwash every month with cold water. Friendly to environment. Because of its LOW AIR RESISTANCE don't make your Central Air Unit work harder. With a warranty satisfaction and 100 % money back guarantee. Useful life time between 9 months to 1 year, depending on the use in each house. Made in USA and Imported. 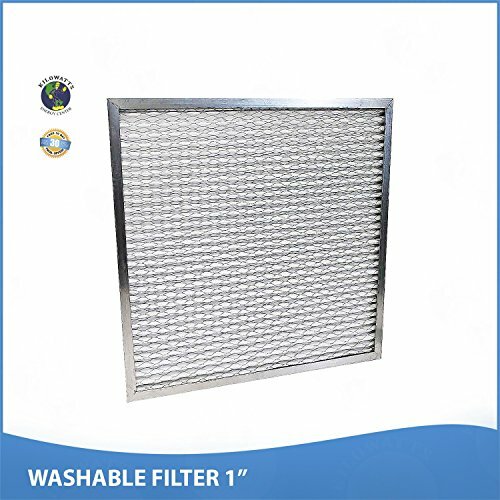 The filter is resistant to mold and mildew.